3 Dimensional Chat / What's would people recommend for animating 3D characters, preferably skeletal type animation?? I'm going to guess most people would recommend Blender, however I can't really stand it's user interface. I don't need a million short-cuts that make very little sense or an interface that prefers to hide the useful stuff by default hahah, no offense. Anyway, I'm sure some people know what I mean. Are there any worthwhile alternatives that come to mind?? I've been using Fragmotion for years, you may want to check it out. Thanks! I have heard of that before years ago, but never actually tried it (used to use 3D GameStudio and it's included vertex animation editor). I will look into it. It hasn't been updated in a while, but I still use Milkshape 3D to create and animate my 3D models. http://www.milkshape3d.com/ I am a fellow hater of Blender's interface. I have used Fragmotion too, but I will take MS3D any day. Cool, I'll look into Milkshape too then. I did like Fragmotion though. Had some animations going in literally no time actually, without the visual distraction of a million features cluttering the screen. Just as a side note, it's also nice to know more people feel this way about Blender, which is otherwise an extremely capable software without question. Too bad u cannot get into blender. Actually i tried blender severals time and always put it down. Since i coming from 3dsmax(what i like the most is Biped) it super ultra hard to learn blender. I also admit cant learn maya. 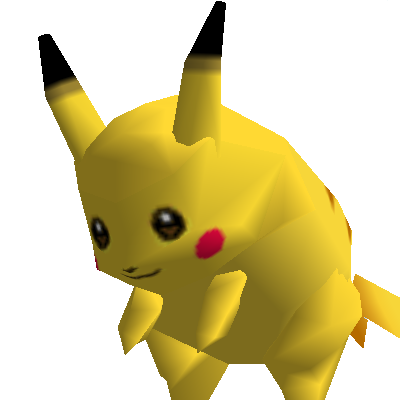 But one day i tried to mess up with the blender cube using basic modelling like extrude,scale,loop cut and mirror. Suddenly i get the feel for it. But yeah, i still wish 3dsmax dont go for subcsription. Now im with blender and still wish there are better animation program i can use. Now im with blender and still wish there are better animation program i can use." Yeah it is probably more the latter of what you say there. I can't stand interfaces where visual elements are basically filled with stuff you don't need and where a program works best using only shortcuts. There are plenty of tutorials on Blender giving a good idea how to handle it, but it is just not something I can use without frustration of how it ignores any existing control scheme conventions. It is easily the most powerful free tool out there though. But I wish it also had a more 'to the point' control like Wings3D and FragMotion do. * Note that the upcoming blender 2.80 version has plans to make the UI more "noob friendly". It is to be released in late 2018 around October. * Also note that the UI had a major overhaul from version 2.49 -> 2.50. So if you are basing your hate off of versions before 2.50, you may want to check it out again: Everything you can do with shortcuts is now accessible through menus. I've heard so many complaints about the UI being horrible, but what you perhaps don't realize is it's not horrible. It's different. If you take the time to learn it, you will realize just how efficient your workflow can be. Do you right-click and select "copy" when programming? Of course not, you use ctrl+c and ctrl+v. Blender is the way to go for animation. There is no other software that can compete with it other than Maya. Quote: "I've heard so many complaints about the UI being horrible, but what you perhaps don't realize is it's not horrible. It's different." Quote: "I've heard so many complaints about the UI being horrible, but what you perhaps don't realize is it's not horrible. It's different. If you take the time to learn it, you will realize just how efficient your workflow can be. Do you right-click and select "copy" when programming? Of course not, you use ctrl+c and ctrl+v." My gripes are not with the shortcuts per say, but rather the insane dependence on using them as the actual UI is about the furthest away from intuitive and well-structured as can be. This is pretty much a fact, not an opinion of some sorts caused by not having learned Blender. I can actually use Blender. I just don't like how none of it's UI support all of the dozens of control scheme conventions other applications adhere to, from Photoshop to Zbrush to 3DStudioMax, Wings3D etc. I was adding bones and doing basic animating to my imported model in FragMotion within only 5 minutes of using the software for the very first time. I was editing and modelling complex models in Wings3D within about 5 minutes as well. In Blender this is literally made impossible, because you are forced to learn a user interface that seems to spit on any of the proven control scheme conventions used by 90% of all software. Quote: "Blender is the way to go for animation. There is no other software that can compete with it other than Maya." That is probably true nor did I ever complain about it's features for that matter, however when a program is horrendous to work with, this becomes so much less of a real pro. I'm not joking when I say I rather animate in FragMotion, despite all of it's limitations. Quote: "* Also note that the UI had a major overhaul from version 2.49 -> 2.50. So if you are basing your hate off of versions before 2.50, you may want to check it out again: Everything you can do with shortcuts is now accessible through menus." I have the latest version installed and have had for years, as I do occasionally use it. The UI did not see that much of an overhaul at all, it still is based around the whole 'right clicking' means selecting nonsense. And I've tried remapping the basic controls in one of the most recent versions, but that creates entire new problems as the software so clearly wasn't designed with that in mind. Quote: "* Note that the upcoming blender 2.80 version has plans to make the UI more "noob friendly". It is to be released in late 2018 around October." Yeah apparently it is going to 'hide' a lot of stuff from the UI not to 'overwhelm' people new to Blender. However that is actually not the problem. Nor do I think it is justified calling people who are not into Blender's user interface philosophy a 'noob'. That's actually kind of offensive. They need to drop the 'right clicking is selecting' philosophy and change many of the other aspects of control that do not follow a more intuitive control scheme. For what it's worth, people have complained about the counter-intuitiveness of Blender's UI since freaking day one. And I am not really convinced Blender 2.80 will tackle the actual problem. It is easy to pretend everyone who can not deal with Blender must be a 'noob', but the real problem is the application it's total lack of intuitive controls or an adaptation of existing proven control schemes. About 70% of the learning curve for the very basics of using Blender have no rights to even be part of any learning curve would they have stuck with the existing conventions. 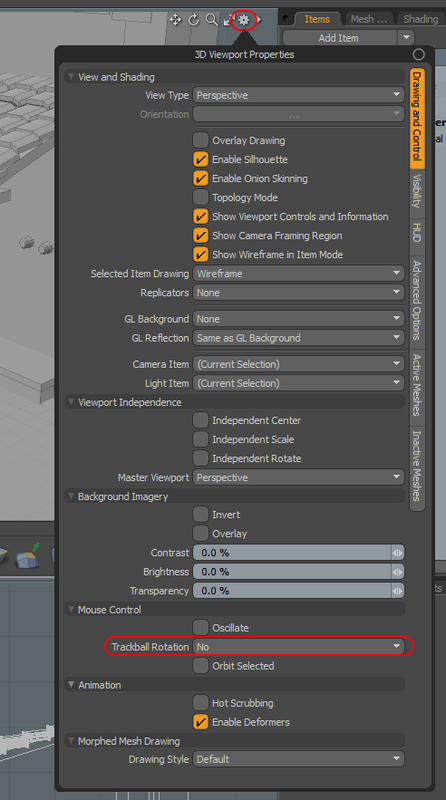 People also need to understand that other software like ZBrush might have cluttered interfaces too (if you want/need to), however their fundamental control at least always follows the existing conventions. The logic in Blender when it comes to what you are able to change depending on a single tiny icon being turned on, also means the overall work-flow suffers greatly when you do not rely upon keyboard short-cuts all the time. I don't mind it when people like Blender (more power to you! ), but you can't really say it's user interface is intuitive, as it's definitely not. Blender is like a car manufacturer who refuses to introduce indicator lights control attached to or in close vicinity to the steering wheel, but forces you to lift your left knee and press two buttons underneath your freaking seat! Yes it sure works, but intuitive not so much! Even worse, who would even assume the indicator lights controls will be located at said location? The location near the steering wheel makes way more sense and everybody understands why. By the way, please note the above is not at all meant to create some kind of fight. Some people like Blender, some people don't. I'm one of those people who doesn't, but would absolutely love to see them change the UI to follow existing user interface conventions. That's literally all. I'm not complaining about Blender's price, features or people that do love it. Please keep things constructive and friendly. I was using "noob" to mean "newbie". A person who is new. I agree with you when you say Blender's UI is non-standard and difficult to learn. It's definitely not the best of UIs. But it does something Fragmotion, Wings3D, CharacterFX, AC3D, and even 3dsmax/maya fail to do: The bottleneck in blender is NOT the UI. Quote: "within only 5 minutes of using the software for the very first time. I was editing and modelling complex models in Wings3D within about 5 minutes as well. In Blender this is literally made impossible, because you are forced to learn a user interface that seems to spit on any of the proven control scheme conventions used by 90% of all software." Right, and after having learned the UI in blender (which honestly takes about 5 days) and practicing it for a bit, you will already be able to accomplish things faster in blender than you could ever do in Fragmotion. It's all a question of whether you consider the investment of time worth it. If you're the kind of person who frequently does 3D work, then you are shooting yourself in the foot for not being on the right side of this curve, because you KNOW you're not as efficient as you can be in Fragmotion and you're wasting a lot of time as a consequence. If on the other hand you only want to use blender to convert between formats every other weekend, or dabble a bit with 3D models infrequently, then of course I agree that the investment is not worth the effort and blender is not the right tool to learn. Quote: "The UI did not see that much of an overhaul at all"
2.49 to 2.50 was a huge overhaul. They rewrote something like 50% of the codebase. The 2.49 interface is almost nothing like what blender is today and back then even I was cursing about how bad it was. Quote: "For what it's worth, people have complained about the counter-intuitiveness of Blender's UI since freaking day "
The real truth here is that nearly everyone who complains about blender doesn't know how to use blender. Those who use blender daily rely on its non-standard UI to maximize workflow, and they appreciate this. There are a lot of Maya people who say blender does a lot of things better. Quote: "it still is based around the whole 'right clicking' means selecting nonsense"
This debate is decades old, and from a poweruser's perspective, right-click is the correct choice. Think about it: It separates selection from interaction. In Maya and a lot of other 3D programs, you run into this problem where you're trying to select an object, but you can't because your left-click is interacting with the active object's manipulator. You don't have this problem in blender because right-click will never interact with anything, it's only function is to select objects. Apart from a few non-standard "quirks" in blender (e.g. right click) -- which, might I add, all turn out to be more productive once you understand the reasoning behind them -- what exactly is wrong with the UI? Every function you can trigger with a keyboard shortcut is accessible through a dropdown menu. Quote: "the real problem is the application it's total lack of intuitive controls or an adaptation of existing proven control schemes"
Can blender's UI be made "conventional" while preserving its ability to stay out of a poweruser's way? I am of the opinion that making a UI more conventional works against making it insanely fast to use. The reason is quite simple: The blender developers have meticulously chosen bindings that maximize workflow, each backed by excellent reasoning. Standard UIs on the other hand follow conventions for the sake of being standard and NOT ALWAYS for the sake of being productive. I would also disagree with saying that the more intuitive UIs we are familiar with are "proven control schemes", implying they are "proven to be superior". The only thing they prove to be is cohering generally with how all other UIs work, sometimes at the cost of being fast to use. Furthermore, there exist numerous discrepencies in other "standard" UIs. For instance, photoshop uses scroll to zoom and mmb to pan, gimp uses ctrl+scroll and shift+mmb to pan. The PCB layout software I use requires you to press ctrl+mmb to pan. Three standard programs, but 3 different ways to pan. You might throw your arms up at this and say those are minor differences and that I'll get used to it. I throw back to you the notion that you'll get used to using right-click in blender. Got to agree with Comet here, fully spot on. Frankly I hate having to visually hunt and click through menus and icons. I short cut everything anyway in Photoshop, excel, text editors and IDEs. I love blenders interface and hope they don't ever significantly change the default. Enable dynamic spacebar, and just about any command you could need is on or is nested in the top level menus of either space, w, or control e. From there, you start picking up more specific shortcuts and you are on your way. Quote: "I was using "noob" to mean "newbie". A person who is new. I agree with you when you say Blender's UI is non-standard and difficult to learn. It's definitely not the best of UIs. But it does something Fragmotion, Wings3D, CharacterFX, AC3D, and even 3dsmax/maya fail to do: The bottleneck in blender is NOT the UI." It's not difficult to learn at all. It is however trying to reinvent the user interface wheel at each and every corner making it a total drag of a program to just pick up and use. I disagree that it is okey for a program to have a learning curve just because it refuses to follow existing proven conventions. Quote: "Frankly I hate having to visually hunt and click through menus and icons. I short cut everything anyway in Photoshop, excel, text editors and IDEs. " Sorry, but that's not what I am advocating for at all. I just wish Blender would have a 'right-click context sensitive menu' like 99% of all programs, uses left mouse to select vertices and things like that. I disagree this is merely a matter of 'more icons' on screen. If anything, it means less icons on screen and a more intuitive user control scheme for everything. Quote: "2.49 to 2.50 was a huge overhaul. They rewrote something like 50% of the codebase. The 2.49 interface is almost nothing like what blender is today and back then even I was cursing about how bad it was." We will have to agree to disagree there. In fact, there's a reason why people still complain about largely the same things about the UI as people used to years ago. Maybe way more code under the hood was changed, but it wasn't a game changer in how intuitive the interface is now. Again, the existing conventions we see in all kinds of 3D modelling programs and various other industry standards are still ignored with the latest UI changes. I don't mind it when people have learned every possible short cut and effectively have gotten used to how Blender works now, but my original point is still valid. The user interface is counter-intuitive and stubborn in reinventing everything. Quote: "I would also disagree with saying that the more intuitive UIs we are familiar with are "proven control schemes", implying they are "proven to be superior". The only thing they prove to be is cohering generally with how all other UIs work, sometimes at the cost of being fast to use. " Then I'm afraid you're not understanding the true meaning of intuitive control. It means you can turn on a program, use it for a minute or 5 and instantly use all of it's main controls and more. Having CTRL + SHIFT + left mouse style control or having somewhat hidden icons that enable specific control is not faster in terms of intuitive controls. The reason videogames now are all using WASD based control schemes has to do with how that makes the most intuitive sense. It very much is superior compared to arrow keys, which do not allow for additional key presses in close vicinity, aside from how your arms are more relaxed when your right hand uses the mouse. In a similar way 'right mouse click for context sensitive menu' structures makes 100% sense. In Blender there are too many conditions that need to be true or keys that need to be hold for more of the normal control to work. I actually disagree Blender's system is faster. It's mostly just more counter-intuitive. And it mostly requires a lot of shortcuts to work truly fast. Quote: "It's all a question of whether you consider the investment of time worth it." That's where I have to disagree. Plenty of other modelling software packages have tried to invent the best user interface. Most failed miserable and it had little to do with the end-user investing time to learn. I'm not saying people can't learn Blender. And I've never suggested I refused learning it. I just disagree with their philosophy of reinventing the wheel, instead of using more reasonable existing conventions. Imagine AppGameKit 2 IDE would force you to use SHIFT + TAB for every ENTER you'd press in any other application. Blender is very much like that! I'm sure people can eventually get used to it, but that's not my point. Quote: "But it does something Fragmotion, Wings3D, CharacterFX, AC3D, and even 3dsmax/maya fail to do: The bottleneck in blender is NOT the UI."" ...by the way, what does that even mean?? Fragmotion and Wings3D for example are way more intuitive, so I would definitely say the UI is more problematic in Blender. Mind you, I am not complaining about the feature set of Blender, nor the fact it is free. Quote: "...by the way, what does that even mean?? Fragmotion and Wings3D for example are way more intuitive, so I would definitely say the UI is more problematic in Blender. Mind you, I am not complaining about the feature set of Blender, nor the fact it is free." They're more intuitive but that doesn't imply they are fast to use... And they're not. You spend a lot of time clicking through menus in those programs. As I said earlier, intuitive UI with proven methods doesn't mean it's fast to use. Quite the opposite in fact. "Intuitive" is such a relative term. Blender's interface is intuitive to use to blender users. Quote: " You spend a lot of time clicking through menus in those programs." This is not actually true at all. It's not actually about how many menus there are, but rather how you get there, what options are available and more importantly what the core controls are and whether they remain the same across features. Blender doesn't do this, they have their own reinvented way for everything, which is completely unnecessary. Quote: "They're more intuitive but that doesn't imply they are fast to use.."
It actually does, in most cases, but you rather refuse to accept Blender lacks an intuitive user interface. Nothing personal, but without using short cuts Blender is easily the slowest modelling program out there. Quote: ""Intuitive" is such a relative term. " Sorry, but it's not a relative term. Something is intuitive when you can pick it up and use it straight away, largely because it uses controls that are based on logic and also because they don't try to reinvent every part of control. It's also absolutely essential for what ultimately makes for a great program. It's very easy to see which programs are remotely intuitive and which are not. Quote: "Blender's interface is intuitive to use to blender users." Right, but that's entirely the point. That right there is the best proof how it isn't intuitive. Mind you, I'm explicitly not saying Blender is bad. I'm saying it's control scheme is annoying and frustrating, which is why I prefer using other programs despite being familiar with Blender. Anyway, lets focus on the original question of recommendations please. Despite your dislike of the interface, my recommendation has to be Blender, sorry. Nothing else in the low to no price range compares. PHeMoX wrote: "but you rather refuse to accept Blender lacks an intuitive user interface"
TheComet wrote: "I agree with you when you say Blender's UI is non-standard and difficult to learn. It's definitely not the best of UIs." Quote: "Despite your dislike of the interface, my recommendation has to be Blender, sorry. Nothing else in the low to no price range compares." The primary goal of the Bforartists fork is to deliver a better graphical UI and a better usability. This means a complete switch in the usage philosophy. Away from the hotkey and speed centered usage. Towards a user friendly and intuitive graphical UI. I honestly believe this depends on the complexity of your animations. For anything simple Blender is fine and free. I would think any 3D modeling program is going to have learning curves. There are tons of free resources for blender. So learning will only be hindered by your commitment. And I am a strong believer Maya is probably the best choice for games assets, but I believe AppGameKit was developed with .X format in mind(hell this is the one used by Preben and his models are the best I have seen). So, if you don't mind paying my recommendations are fragMotion or Maya. But fragMotion does not have a lot of resources to help guide you. I have never been able to export to FBX out of blender properly - nor have I been able to use .fbx assets from the unity store in AppGameKit - I have to convert them to .obj or .dae and redo animations. .DAE exports will lack some bone constraints you will want to use on the finer details of animation. I know for a fact a year ago Copy Location bone constraint causes mesh tearing when exporting to .DAE. There may also be other constraints(I think the floor constraint caused me problems). Of course, nothing would stop you from tediously going through animations. I just miss the workflow improvements of the constraints. I am reluctant to try another 3d modeling software program, because of how much time I invested in Blender. If I ever get the extra time and money to get Maya I'll try it out. I refuse to try out fragMotion, because AGK/GameGuru needs to give up on .X. It hasn't been supported in years. If you're looking for a free 3d modeling software... well nothing even compares to Blender. Quote: "I have never been able to export to FBX out of blender properly - nor have I been able to use .fbx assets from the unity store in AppGameKit - I have to convert them to .obj or .dae and redo animations. .DAE exports will lack some bone constraints you will want to use on the finer details of animation. I know for a fact a year ago Copy Location bone constraint causes mesh tearing when exporting to .DAE. There may also be other constraints(I think the floor constraint caused me problems). Of course, nothing would stop you from tediously going through animations. I just miss the workflow improvements of the constraints." Quote: "I am reluctant to try another 3d modeling software program, because of how much time I invested in Blender." I would imagine this is true for any program that has a steeper learning curve to what should have been simple operations. If you're looking for a free 3d modeling software... well nothing even compares to Blender." ..this seems to be true indeed. But just because something is free, doesn't mean it is without flaw or we have no right to voice complaints. It's actually why it is such a shame they have designed Blender in such a stubbornly unconventional way. I was literally using FragMotion within one or two minutes, using all of it's features. That's doesn't make it a better program in terms of features of course, but it really isn't unreasonable to want a more intuitive interface for Blender so things make more sense from the start. I would gladly pay $50 or perhaps even $99 for Blender, had it provided a much more user friendly or intuitive interface. The cost itself isn't really a problem, because whilst Blender might be somewhat of an exception to the rule, most good things cost money. Ortu : agk doesnt import scale, animation with scale are completely bugged. I guess the constraint ik will add scale key somewhere, and after that we cant use dae, it bug too. Even if you use bake action, it will add scale chznnels and pther scale somewhere we cant delete. So after a bake action, a dae isnt working correctly in agk. But if you dont use any constraint , a dae works fine. But the animation isnt as good as with constraint, like ik. - the normals are inversed, we have to use setobjectculling (obj, 2) to get the normals properly. - the file is bigger than dae, sometimes 4 x bigger ! I use the 2.76, maybe a newer version works better. But with dae, the 2.79 export doesnt work at all ! Perhaps i should try to use ultimate unwrap to convert the .x from blender to agk. If you're willing to pay, there are a few options out there. Sadly good 3D Software is expensive, heck moderate 3D software is expensive and a lot of the affordable stuff has plenty to be desired compared to alternatives. So I can understand why Blender is considered such a godsend as a free software, because it truly is a fantastic piece of software, but, and I am in the same boat, the interface. I have tried many times and I simply cannot get along with the program's ergonomics, none of it feels intuitive to me and how it is laid out kinda hurts my head too. And I think that is the hurdle that means you either love it or hate it. I have also tried newer versions and Blender for Artists and I've yet to find something that works for me. I might have expected being open source and the time it has been in existence that somebody would have created something to suit the sensibilities of competitive software. But in my Blender problems and cheapskateness I have tried a few things out there. At the moment, I would say Modo is probably the best balance for an all round package thus far. If you're willing to get the indie version, you can get it as a subscription for £10 a month and it's not madly restrictive like other software that's done indie versions and £10 a month is a much better deal that Maya LTE. In terms of updates the Indie version lags behind the more expensive version, but not massively. Plus it just got updated to the latest version. I won't like there are something to still to get used to, one thing I turn off is the trackball option in the viewport, this will allow the Y Axis to always be up. But it is a professional suite used by professional artists, so you'll get oodle of 3D features. And you can subscribe through Steam, as a bonus. In addition to this, if you're familiar with other packages, they do have tutorials on their sites to aid with transitioning from other software. Both have trials if you wanted to get a flavour yourself. Thanks, I appreciate the suggestions! Honestly, I gave up on some of the bigger paid software packages around the time Caligari's TruSpace modelling software was discontinued. I found Wings3D and went with that for a while. Well, except for animations which it can't do, for that I actually used the modeler that came with 3D Game Studio. Anyway, I do remember coming across Modo and Silo 2, I will have to check them out again. Thanks. TruSpace 7.61 can still be found for free on several sites. Works well on Win7, but I do not know how well it will work on Win10. Also, I ended up looking into it, my favourite 3D software, Cinema 4D Prime has a subscription now too, but it is yearly and £180 a year, given Modo is £10 a month that would be £120 a year, so technically Cinema 4D is not that much more expensive as a choice. But without monthly subs it is more of a commitment. With Modo, it's not too bad, there is still somewhat of a learning curve getting started, but much better than Blender's IMO and it still feels fluid. Each mouse over will give you the shortcut key, so you can easily learn the keyboard shortcuts as you go. Also i would strongly recommend using its modelling in a 4-view mode. I didn't personally get along with it until I did this, versus Silo's. There is also a 3D World Studio/Cartography Shop feel to it here, which is nice because how Cartography Shop worked made it really good for architectual modelling and I can see benefits for organic modelling here too. As I mentioned before, it's a good idea to turn off the below option, doing so will keep the camera upright. There are a couple of shortcuts for moving the camera in the scene that are not immediately obvious, but you can work out as you will be able to use different combinations of shift, alt and control and the mouse to manipulate the camera. Another difference is you do have to be specific at times. For example, if you go "Polygon Mode" then select a polygon and choose the move option, you cannot select another polygon until you go to polygon mode again. This is because be clicking away you're changing the reference point, for example, if rotating, you've moved the point it'll rotate around. But your select modes are your 1-5 keys and your different tranform types are W (move), E (rotate) and R(scale) so it works out pretty ergonomic on the keyboard.